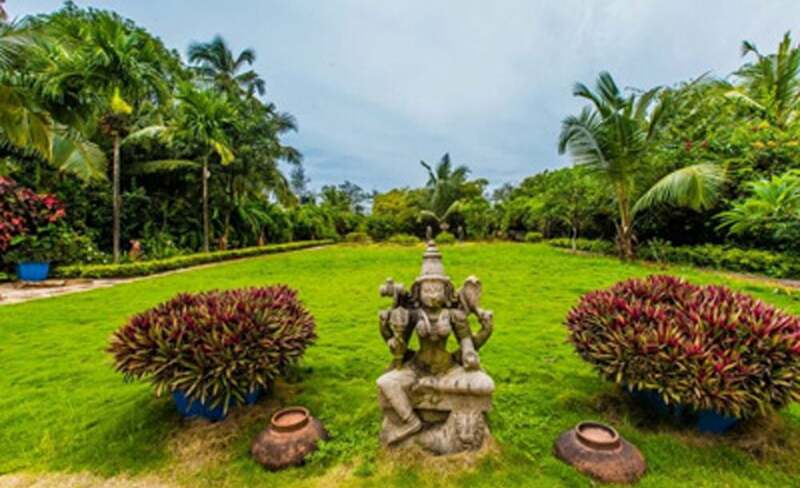 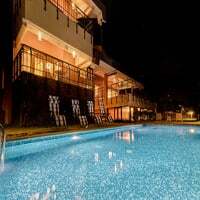 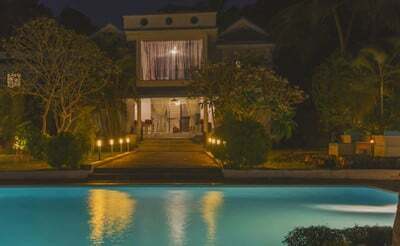 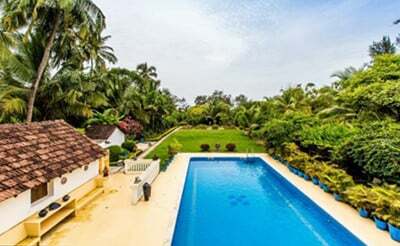 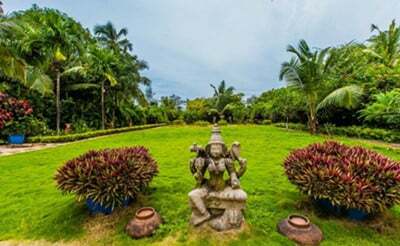 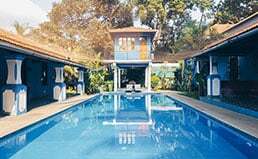 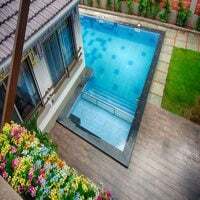 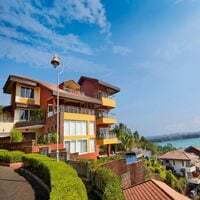 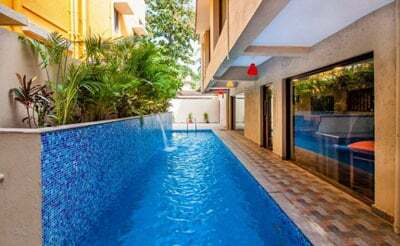 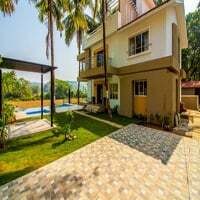 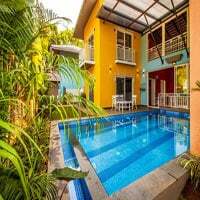 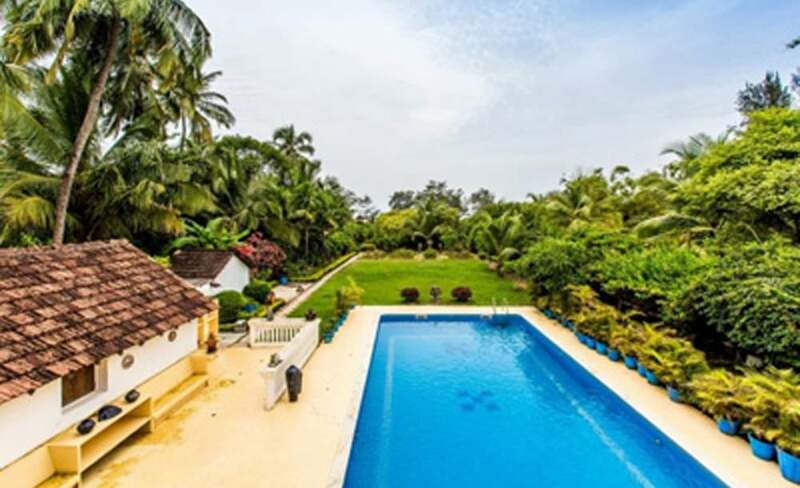 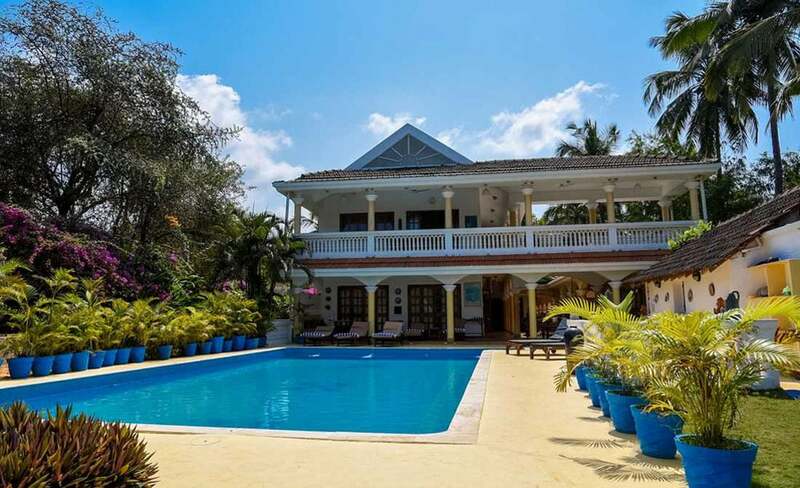 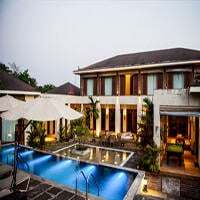 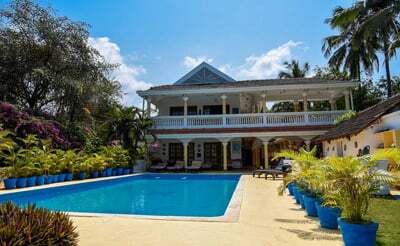 The 7 bedroom beach villa Deep in Candolim comes with a private swimming pool and a huge Garden Space with private access to the Candolim beach from the garden is one of the best beach villas in Goa. 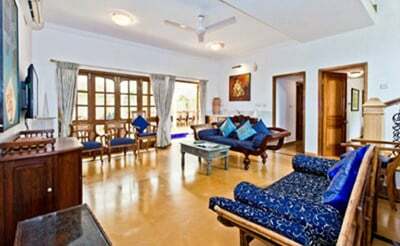 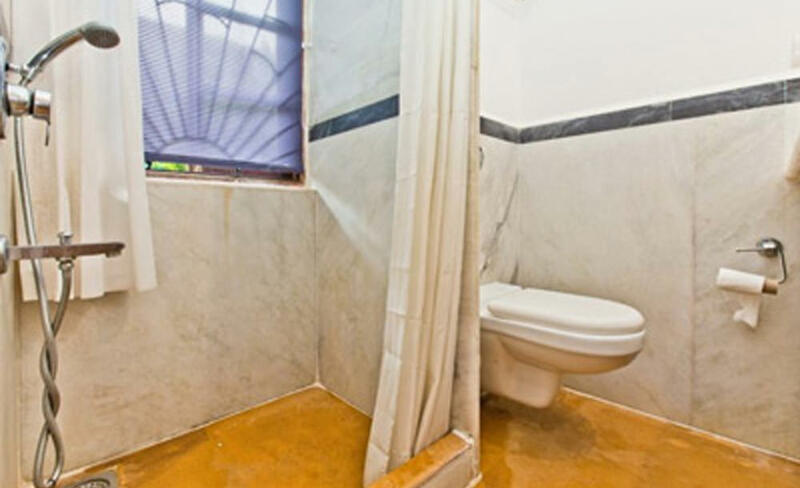 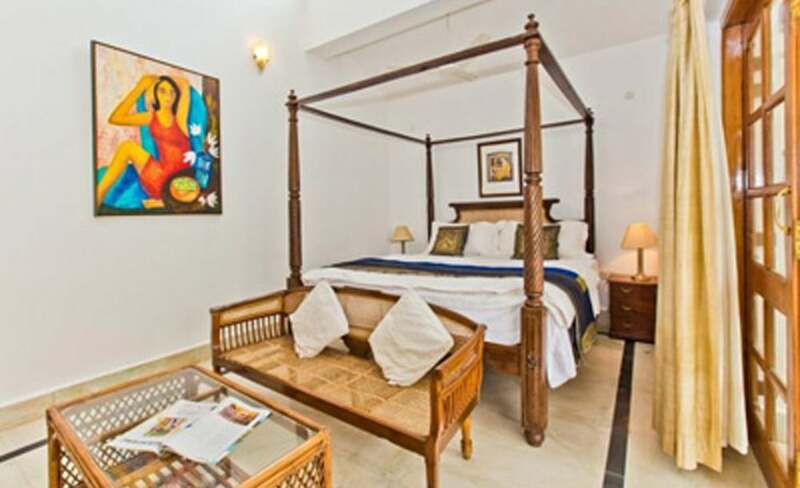 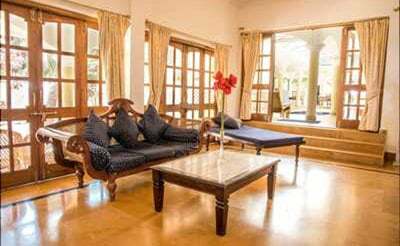 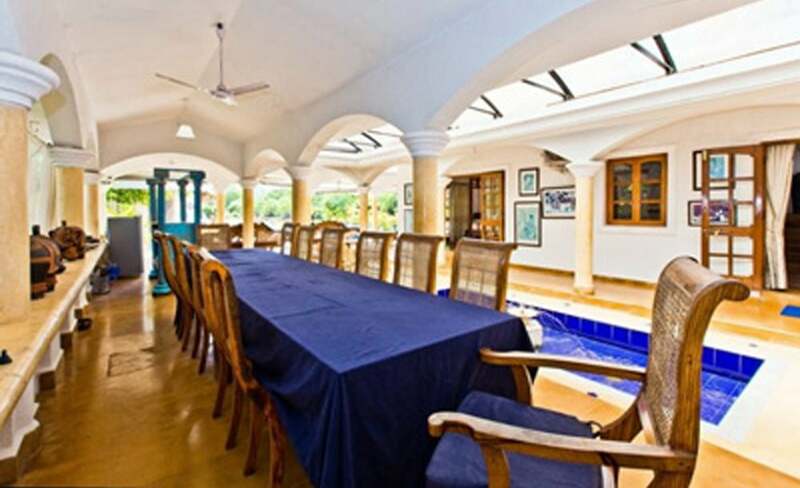 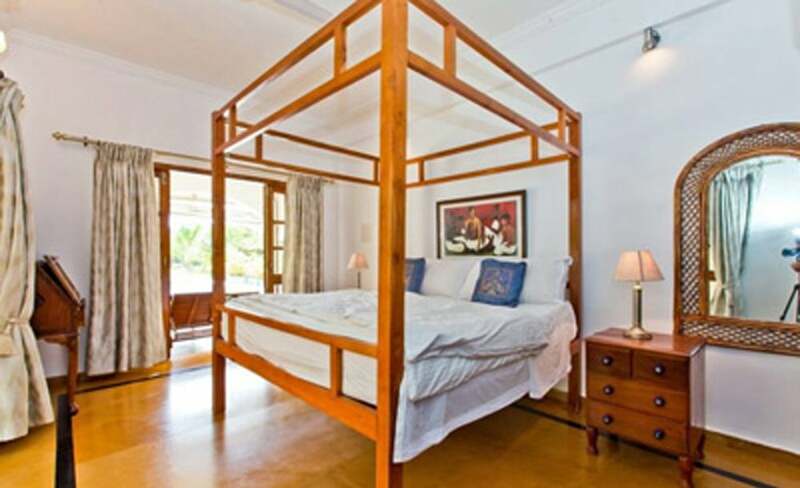 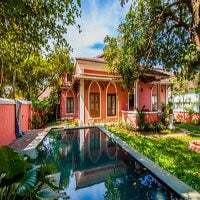 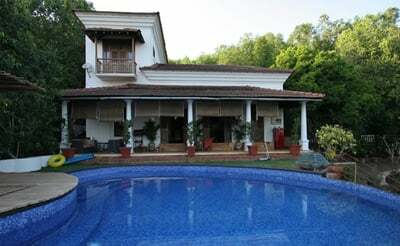 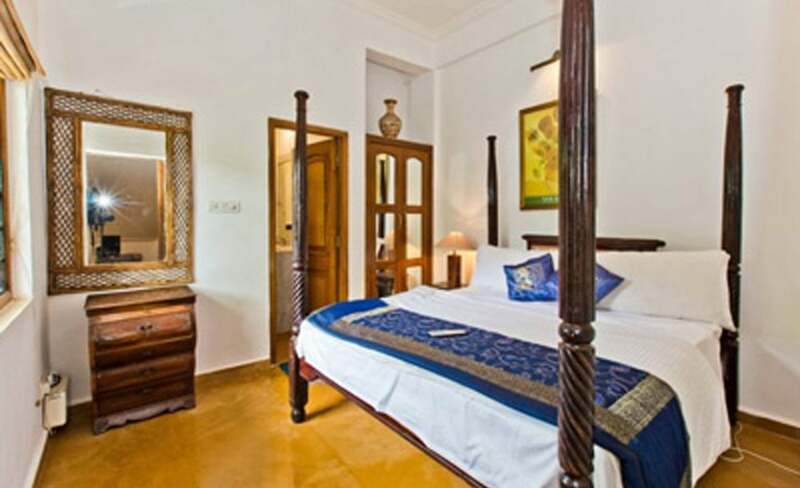 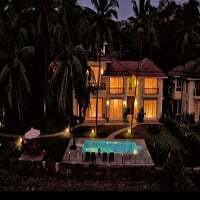 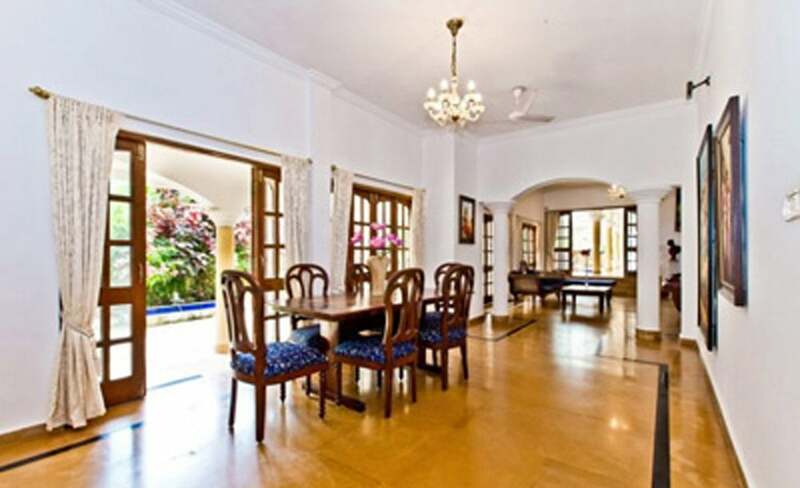 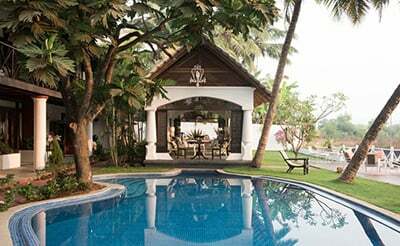 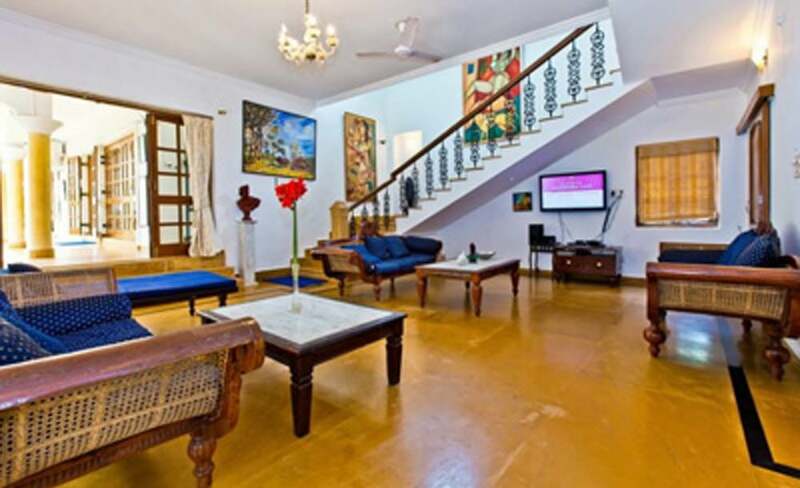 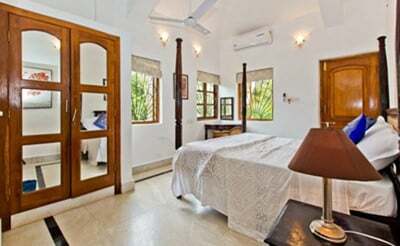 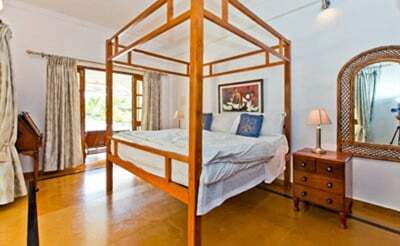 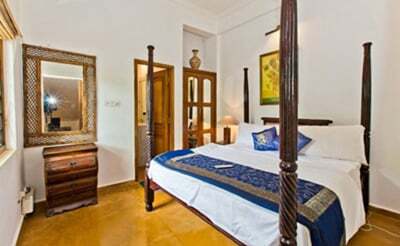 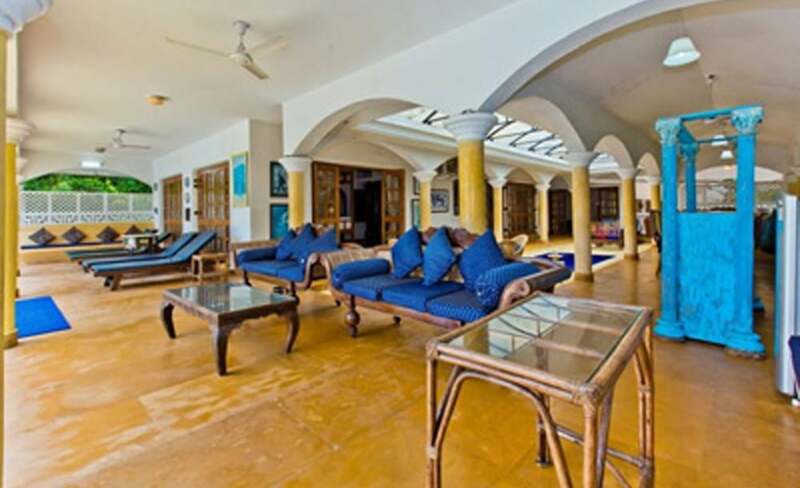 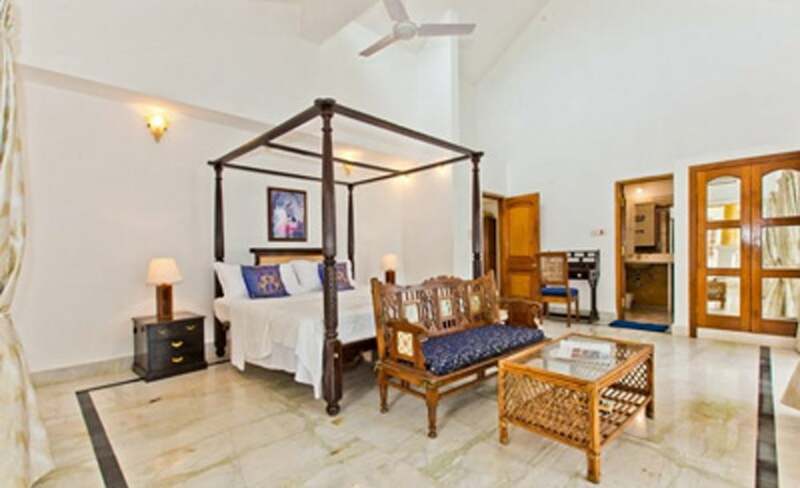 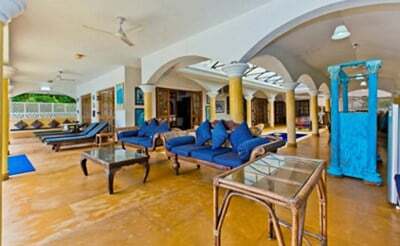 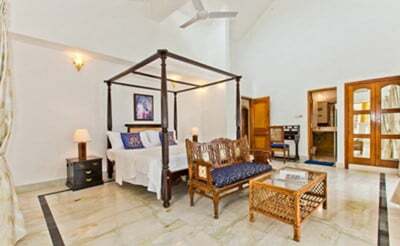 The beach villa is a recently renovated villa and the architect has maintained the old school Goan look of the villa. 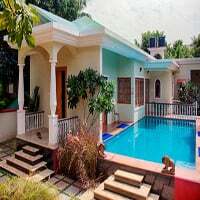 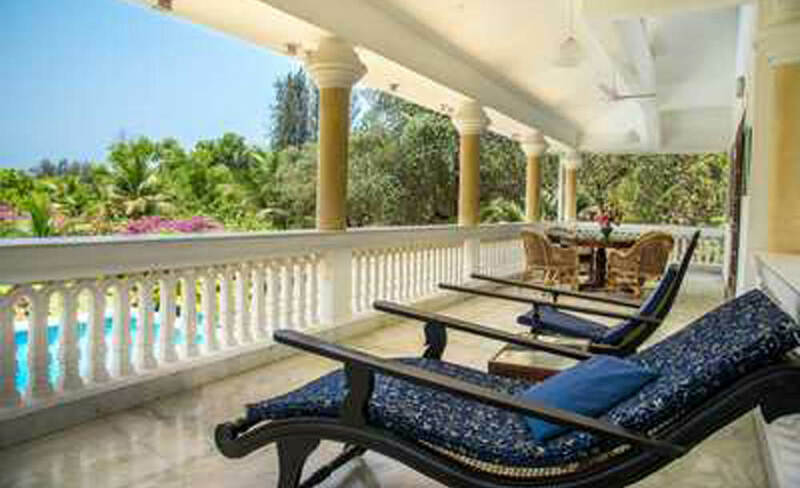 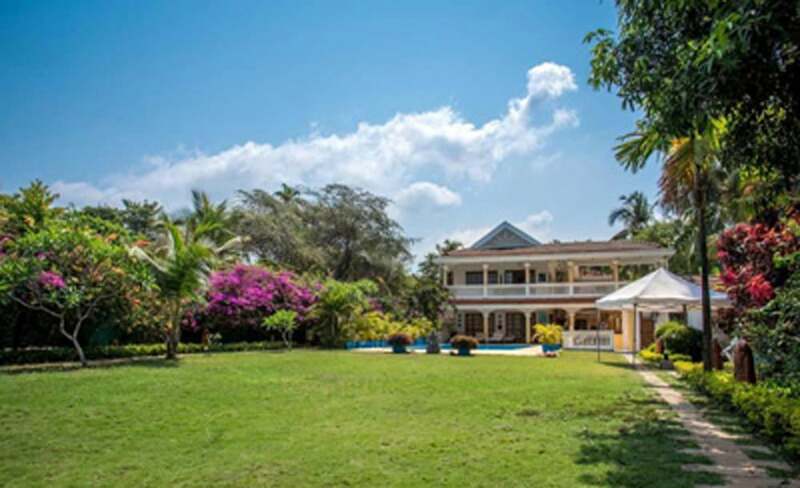 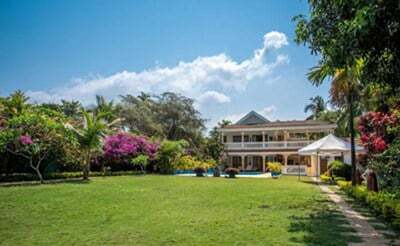 Villa Deep has 7 bedrooms and can house upto 14-18 people. 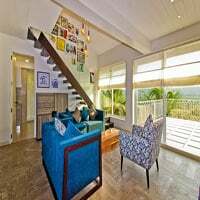 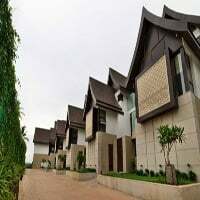 Inside, the house has amazing rustic furnishing and greek finish walls.The spacious living rooms and the common areas are minimalistic furnished and well lit. 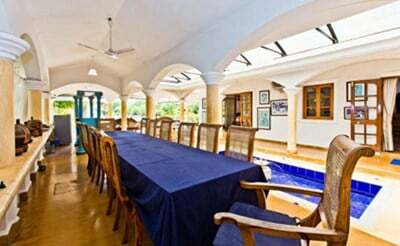 The huge dining area on the outside may make you host a nice noon party or a brunch for your friends , the well equipped kitchen enables cooking for the guests to host amazing lunches or brunches for the guests. 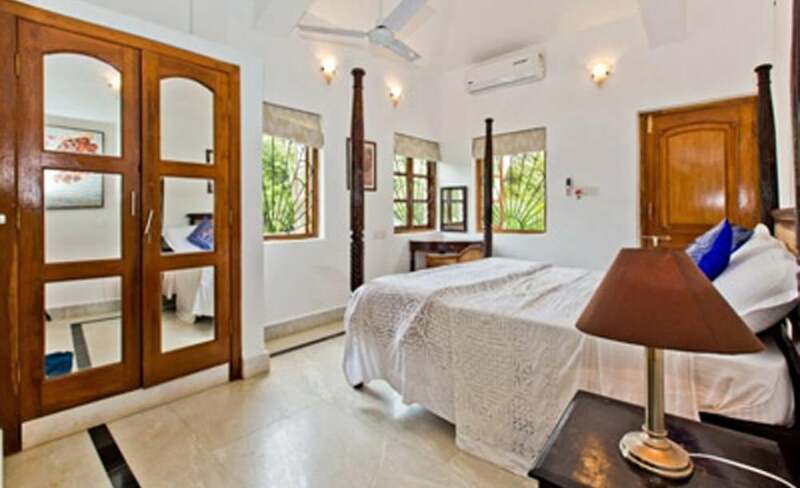 The bedrooms are all spacious and well ventilated and has place to accommodate an extra kid.There sun loungers can make you just lazy whilst sipping your drink listing to the oceans. 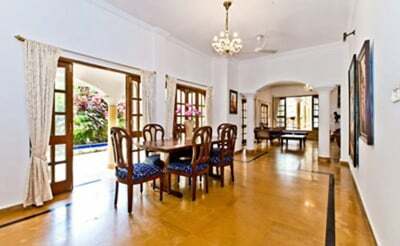 There is 24*7 security and caretaker to cater tour needs. 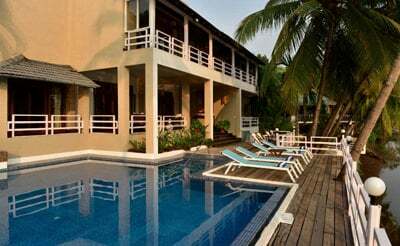 So the beach villa is just a call away for your vacation.